I love this part of the year; the air smells fresh and cool and earthy. Full of the promise of things to grow. 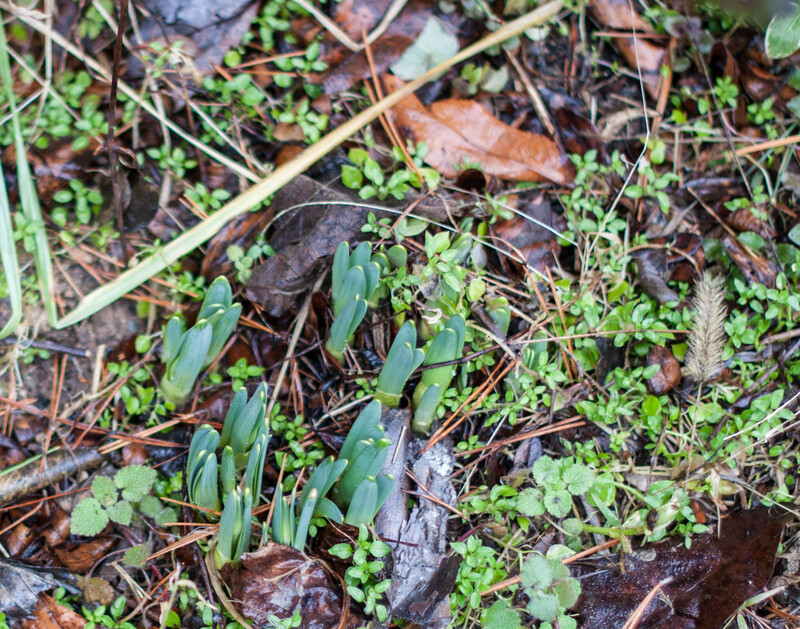 The rains are warmer now, and the first early bulbs are just starting to send their shoots up through the surface. Normally this also the time of year we look forward to lambs and kids, but we have taken the year off. Though I will miss the wee lamb noses and kid bleats, I’m relieved to have more time to devote to the garden and other farm projects that are sorely in need of attention. I have gone through all my seeds and ordered the ones I needed; i’ll be starting my seeds in the mini greenhouse this week. Peas will be going directly into the ground in the next few days. We did lose one bee hive over the winter. Not sure if it was the Varroa mites that did it or the cold; it was the smaller of the hives and not as strong as the swarm hive I started out with. I will be sterilizing the components of the hive and seeing if the swarm hive decides to produce another swarm this year. If it does, I’ll be ready for it. That hive is super strong. It went into winter with a bumper crop of honey. I decided not to harvest any because there wasn’t a large amount above what they needed for themselves, and I wanted to be cautious in my first year as a beekeeper. It seems to have paid off, because they still have a few frames of lovely honey left and I’m not really needing to feed them much extra. The chickens are finally starting to lay with some reliability again, to my great relief. You cant see the color really well in the picture, but that is a blue egg! 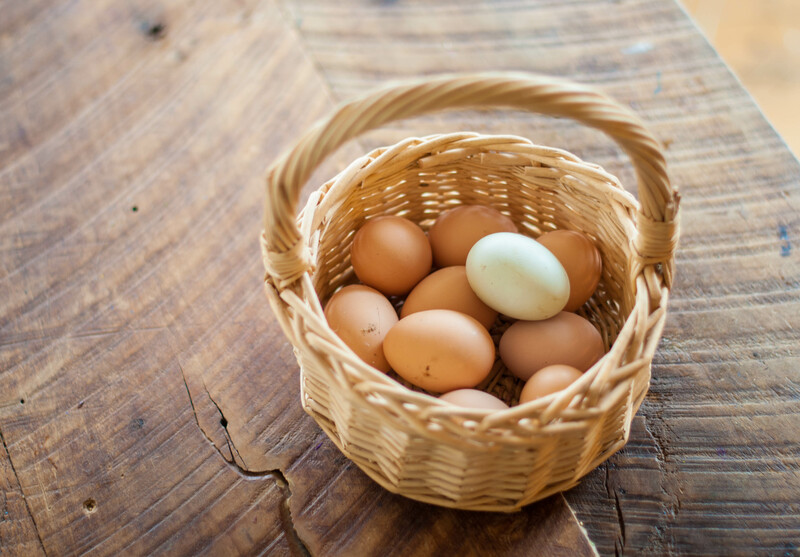 I’m looking forward to being overloaded with eggs again; it’s it’s been far too long! Little daffodils and crocuses poking up! I’m hoping to be able to get out and work in the gardens a bit today and clean them up a bit in prep for planting. I am going to be trying the Deep Mulch method this year. I have so very much waste hay that we may as well put it to good use! 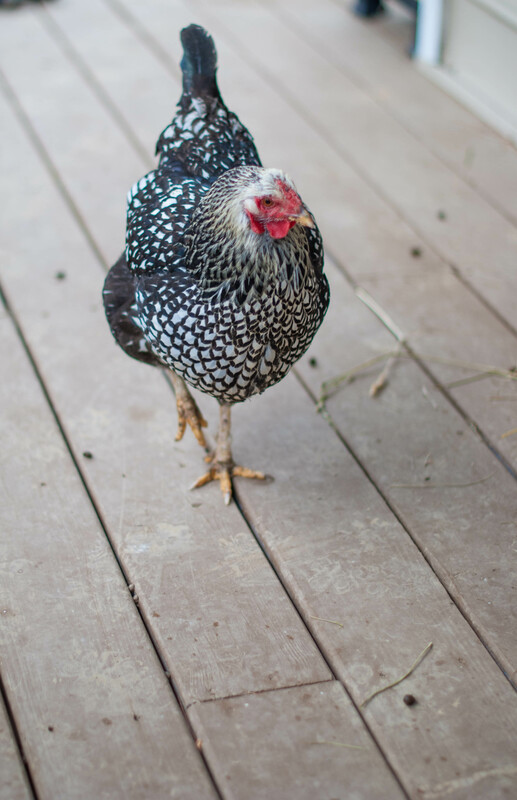 One of our lovely Silver-Laced Wyandottes, Penny. She likes to hang out on the porch. 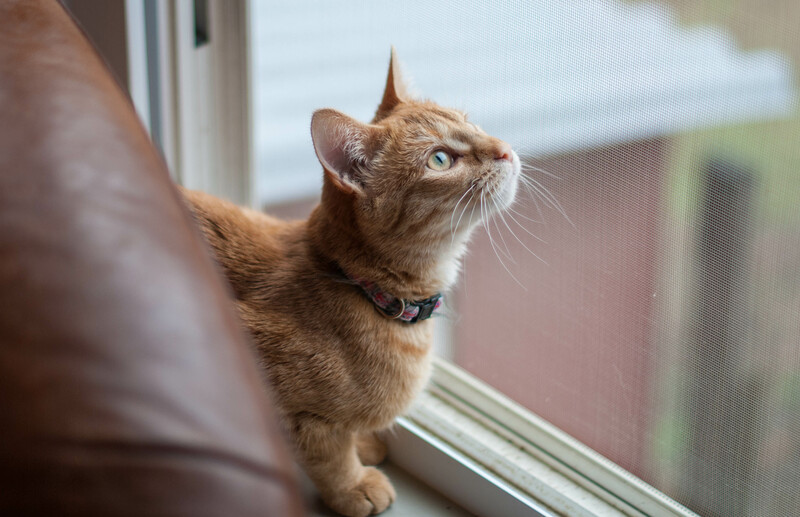 We’ve been able to have the windows open during the day lately, and the cats are loooooooving it. I’m thinking this little one needs a perch next to the bird feeder so she can better stalk her prey. 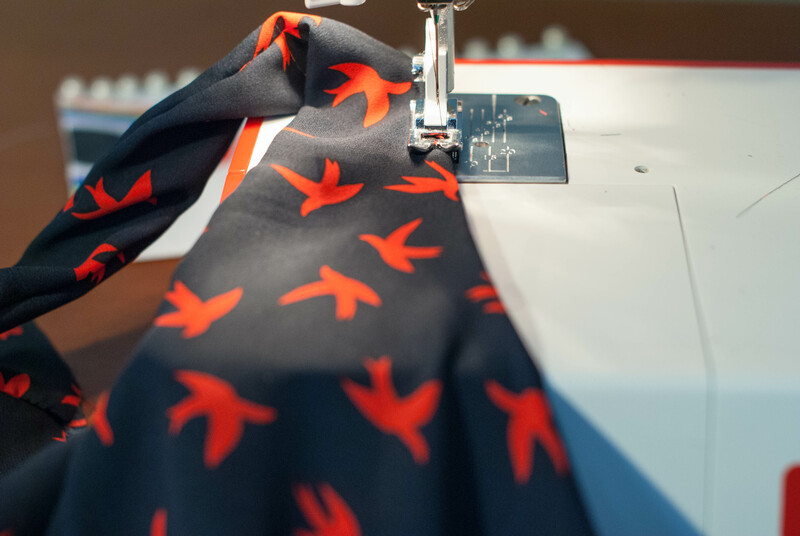 All this springyness has got me wanting to get sewing a whole lot as well. New dresses and skirts! This fabric reminds me so much of one of my favorite sewing bloggers – Lauren over at Lladybird. For now I am excited to get outside and get the gardening started for real. What are you excited for this spring? I’m reblogging Merry Magpie Farm’s post “Pre-Spring” for #reblogwednesday. I love this post for a couple of reasons. Spring is my favourite season and the new growth and new birth bring so much hope. Secondly, the photos are wonderful. Thanks for sharing your early spring! What a lovely, positive, upbeat post. You cover so many of the pleasant things about spring in a very friendly voice. There is so much that I like about spring but one of my favorite things about spring is having more and more pleasant days where I can take the dog out in the warm weather without a jacket and feel comfortable. Also stepping out on my deck and hearing a chorus of singing birds.